LIANG CHYUAN Inc. was founded in 1983. 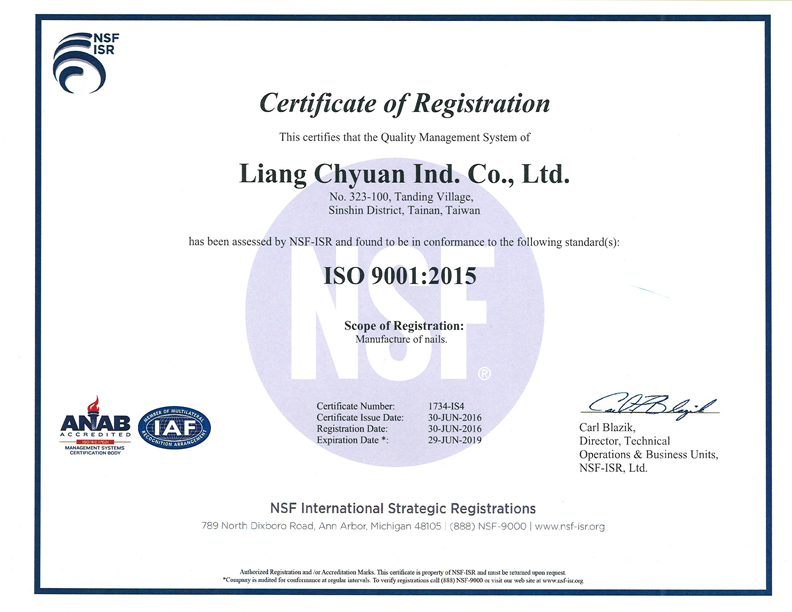 We are a well reputed manufacturer of Nails and Screws for specialized purposes.LIANG CHYUAN Inc. has been an ISO 9001:2008 certified custom manufacturer since 2005. We offer custom design solutions to meet our clients'needs. 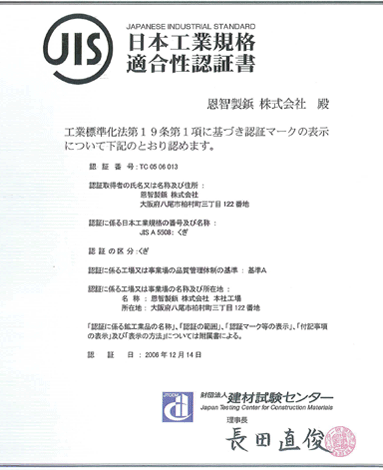 With 30 years experiences in the industry, LIANG CHYUAN Inc. has obtained great acknowledgements from our clients around the world including those in the United States,Canada, the United Kingdom, and Japan. We are proud of our reputation for high quality products and attentive service. LIANG CHYUAN Inc. has an excellenthistory of business to business relationships based on trust.